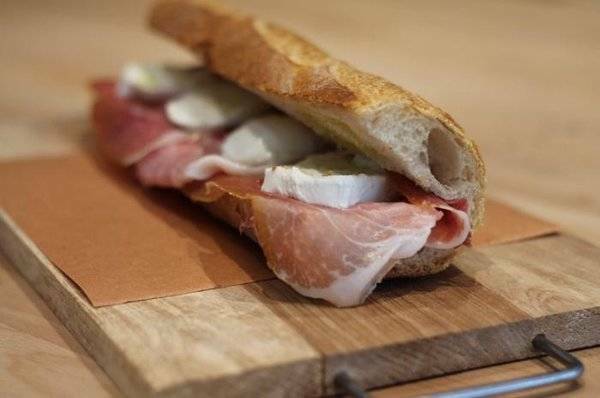 Located at 1 West 8th Street in the heart of the Greenwich Village, La Panineria Italiana is the perfect place to have the most delicious Italian sandwich—and much more. La Panineria Italiana is fast becoming a popular destination for lovers of Italian food. Specializing in sandwiches, La Panineria offers a large variety of homemade Panini that will make you forget for a moment that you are in a country that isn’t Italy. The thing Italians living abroad miss most is Italian food, of course. Fortunately, there are some places that are just heaven for Italian food lovers. One of these is La Panineria Italiana, a lovely sandwich shop in the heart of Greenwich Village. 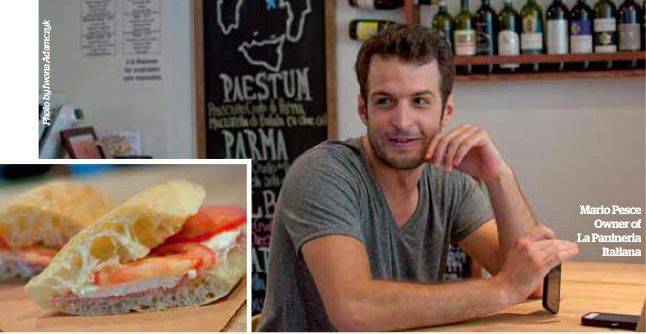 Only 4 months young, La Panineria was a dream come true for owner Mario Pesce, a young Neapolitan with a passion for food who moved to New York to start his own business with his brother Giuseppe and his girlfriend Olga. 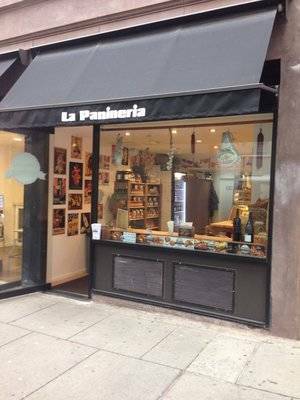 The first thing that strikes you walking into La Panineria is that it is like entering a typical Italian Salumeria. The space is not very big but it is very cozy. A large wood counter faces the street and another square table sits in the middle. Beautiful vintage posters of Italian ads cover the walls, adding a special touch to the welcoming atmosphere. 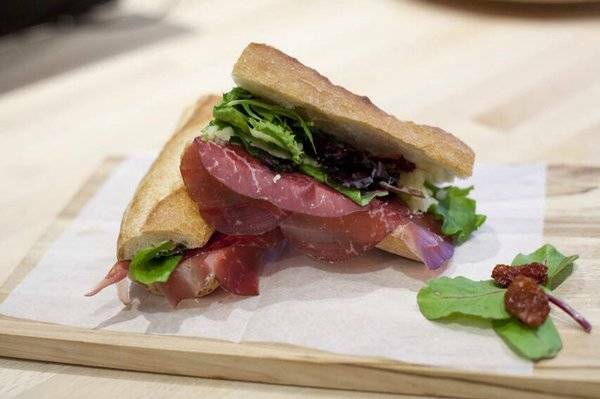 All the sandwiches that you eat at La Panineria Italiana are prepared on the spot with fresh, high quality Italian products, just like in a real Italian salumeria. The bread comes from the very best bakeries in the city while cured meats and cheeses are provided by Pesce’s uncle Mimmo Magliulo, owner of the Chelsea Market Italian food mecca Buon Italia. “What differentiates us is that here in New York we only use products of the highest quality. We prepare our sandwiches as if we were preparing them at home. And we put a lot of passion into what we do,” says Pesce. A quick glance at the menu is enough to make your mouth water: sandwiches, salads, bruschette, cured meats, cheeses and delicious pastries. For its most demanding clients, La Panineria created also 3 special sandwiches: Supermario, Olga and Peppe. The Supermario (prosciutto crudi di Parma, mortadella, salame and mozzarella!) was cooked up special for the American clientele, who really love it!